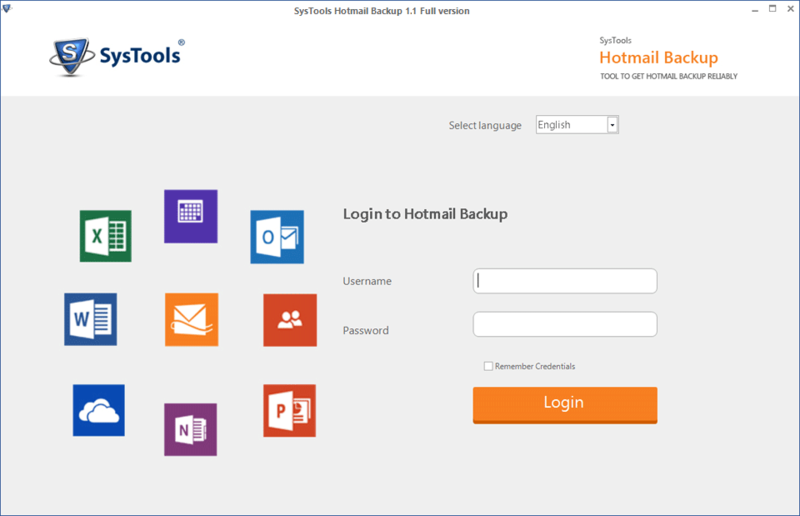 Get backup of entire Hotmail account using Outlook.com Backup Tool in five different languages such as German, French, Japanese, Portuguese, and Spanish. 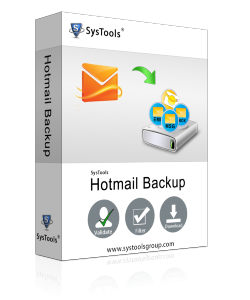 Free Download demo version of Hotmail Backup Software and test it right now. 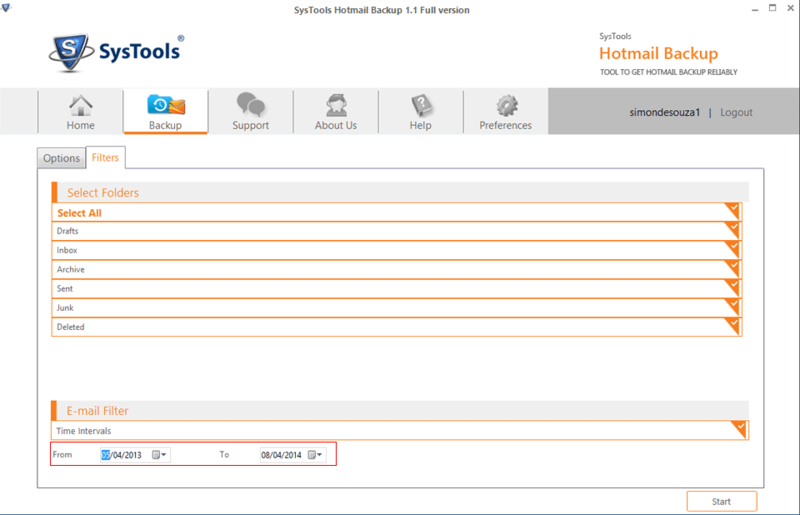 Hotmail Backup software builds a local copy of Hotmail account (Outlook.com) emails. It is constructed to backup up every email from available folder without enforcing any effort in a secured manner. Save Hotmail account backup in multiple file formats like EML, MBOX, MSG and PST with the help of Hotmail email backup software. Therefore, that you can easily import & use output file on different email client platform. Hotmail Backup tool comes with pause & restart feature that helps in managing process of live backup. Through this feature you can hold live backup process in middle and can continue later on with restart option. In case backup process gets stopped due to tool shut down, you can start the backup from the same point. 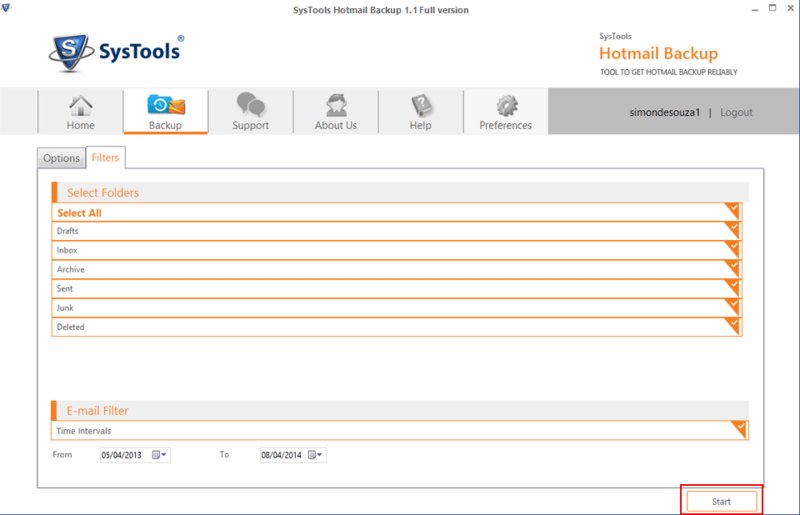 The Hotmail backup software is integrated with an option that helps to maintain incomplete backup history. Apply filter before starting backup process of Hotmail account data, so that you can backup desired data only and don't have to wait for the whole process. You can backup specific date range emails by providing "To" and "Form" value as well as backup selected or all email folder. Hotmail Backup software free shows the live backup process updates with details like backup processed percentage, direct link of destination folder path, current folder being backed up, rate of backup, item count etc. Hotmail Cloud Backup Software offers you option to clear account for email storage as it comes with a feature namely delete after download that helps you in deleting backed up data from account after it has downloaded on your machine. 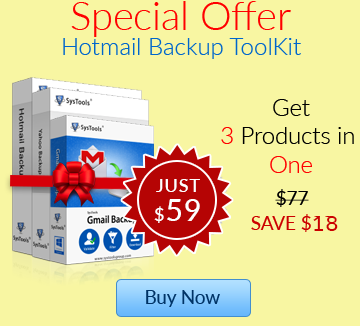 Hotmail Backup software preserve email header details completely during the backup process. Details of email header like To, Cc, Bcc, Form, IP details, etc., are kept intact while creating Hotmail account local backup. Consumption of internet bandwidth can be standardized according to necessity. The software comes with internet bandwidth controlling option through which you can mention the desired amount of bandwidth to be employed in Mbps or Kbps respectively. You can fix a time slot for define amount of bandwidth controlling. The time slot feature of Hotmail email backup software permits you to set time duration in which defined amount of bandwidth should be consumed in generating backup. Email original structure will be maintained by software while creating Hotmail account backup. Output file created in whichever format with email backed up maintain their original read/unread status as it is. The Hotmail backup software interface language can be varied accordingly. The software offers six languages to set interface in which English is set as default language, other five languages offered by software are German, French, Japanese, Portuguese, and Spanish respectively. Should Outlook install on my machine to run Hotmail Backup Software? Yes, it should be. 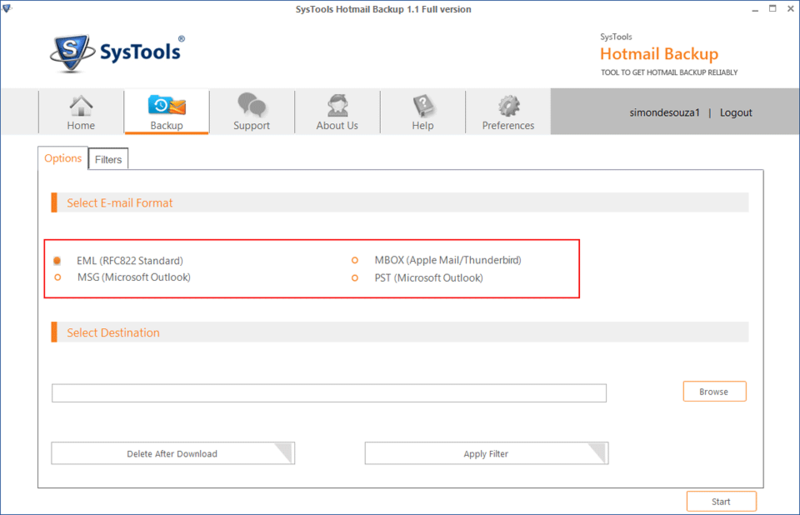 Beside from Outlook's installation, you must have an Outlook account with an alias Outlook profile in order to export Hotmail emails to PST format. Is Internet Connection a must-have pre-requisite to start the downloading process? Having Internet Connection, preferably the fast one is the most fundamental requirement if you are going to run this Hotmail Cloud Backup software. In other words, functioning of this tool is solely dependents on internet connection. In case, if you lost internet connection in the middle of download, then software will start downloading the Outlook.com emails, where it had left-off point earlier. I am thinking about backing up an Outlook account, which is nearly six years old and has more than eight thousand emails (including all folders). Is it possible to download such amount of hefty database with this tool? Yes, This software flawlessly downloads all the stuffs from your Hotmail account to hard drive quickly as possible. However, speed of your internet connection count as another factor while downloading the emails. Why download of Hotmail emails keep malfunctioning? Is there any bug in the software or am I missing something? Are you still logged in your web Hotmail account? If yes, then log out from it right. The Hotmail Backup is absolutely amazing software. It is so helpful. The way it backs-up emails really simplified the entire process and saves a lot of time. The best thing I liked most about the software is that you can even control the bandwidth stream of downloading. Buying Hotmail Backup Software is worth doing rather than deploying conventional method for backup. I am pleased with the advance features of this software on which developers have worked well.